I LOVE reading your birth stories. You are such a strong, courageous woman! Congratulations on your bundle of Honor! I’ve been reading your blog for awhile and always come back because of how authentic you are! I wish I could attempt a more natural birth but I’m high risk now (after experiencing post-partum pre-eclampsia and eclampsia with my first baby and also recently experiencing a very complicated miscarriage). I’m hoping to write about my experiences soon. I find it therapeutic! Keep trucking, mama! 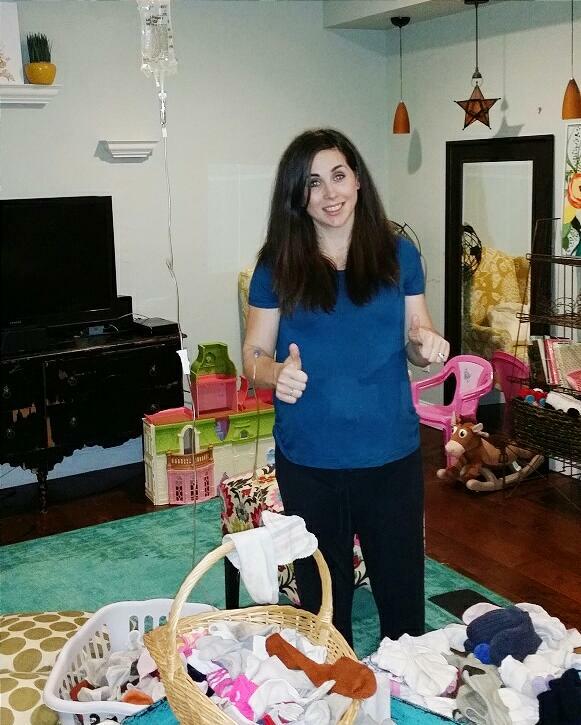 I came over from Grace Pattons blog… I loved this birth story! It sounded so similar to mine with my 5th who was born in Dec…. Tons of prodromal labor, almost two weeks late, a quickly ramped up “real part,” a smooth home birth and then the sentiment of “thank God I’m not pregnant any more!” I love reading birth stories and remembering my own … I’m always amazed at how that blissful slippery-baby-finally-in-arms moment makes all the I-want-to-die contractions fade into the worth it category. I also loved those great bible passages that you shared. The one that kept going in my head was “The Lord God, who has girded me with strength and made my way safe”! Wow, the strength of birth! 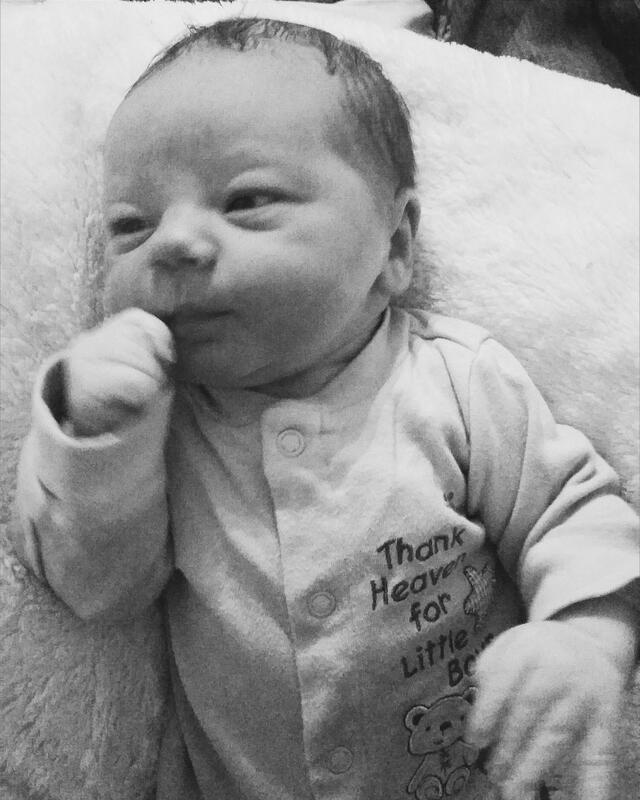 Thank you so much for sharing your beautiful birth story, Abbie! I’m so glad you write before the labor/delivery amnesia kicks in, because it is so true to the experience. It made me laugh and cry, and praise God when he answered your prayers for relief! It definitely brought back memories from my own 6 labors/deliveries. You are such a strong woman! And baby Honor could not be any cuter! Wonderful story. 1/16/17 sounds fun to say and easy to remember too. Congratulations! Congrats, Abbie! You are so strong! Congratulations! I’ve considered home birthing but don’t know of anyone in my area who has had one. All 6 of mine have been in the hospital. He is beautiful and you are one tough momma! So sweet! I absolutely adore his name. I have been 4ish weeks behind you with all 3 of my pregnancies. . . I am REALLY hopeful this does not mean I have another 4 weeks before I deliver. Congratulations! 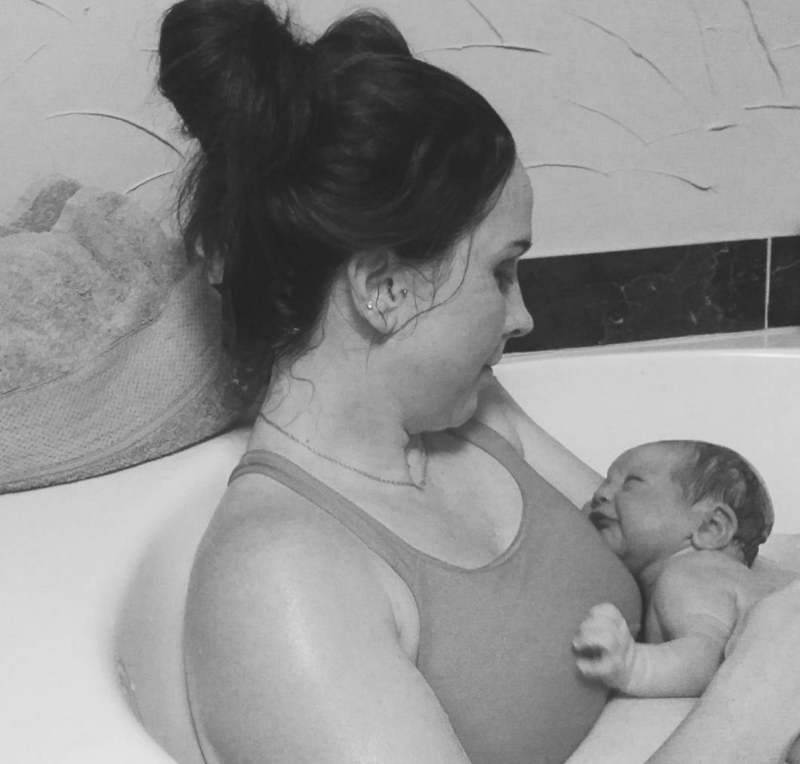 Thank you for sharing your birth story- it was actually therapeutic for me to read. my water broke with my first baby about 10 hours before contractions actually started and it was the worst tortuous pain. I was losing my mind and my labor lasted 30 hours with me ending up in the hospital (after a planned home birth). With my second child I was extremely fearful of that kind of pain again and it kept me from progressing and having the kind of birth that I wanted. like you, I also have a ton of prodromal labor and lots of painful starts and stops, so reading that this also happened to you and what you did to combat the pain gives me strength and hope during this third pregnancy of mine. Your description of the pain after your water breaking completely validates how I felt so many years ago – something that was always hard to relate to with other people. 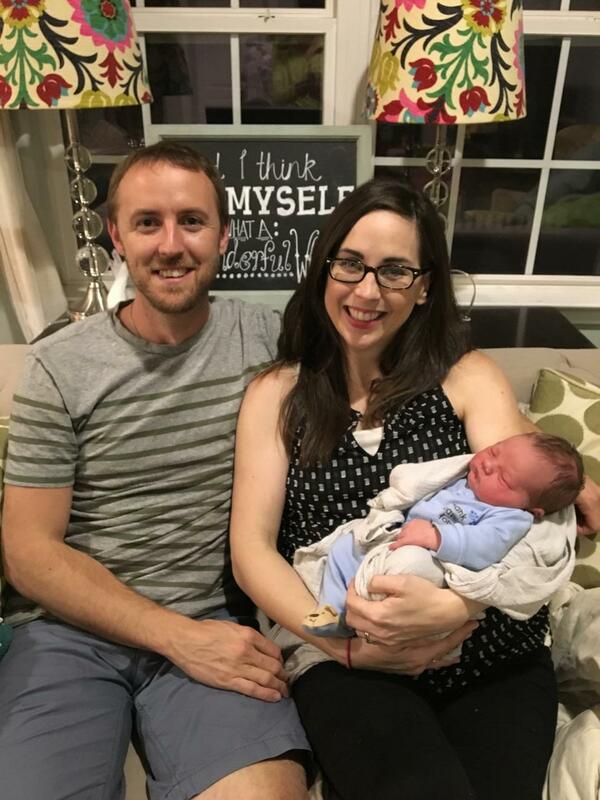 Congratulations on your sweet, sweet boy and thank you again for sharing your beautiful story. Thank you so much for writing this. I’m 32 weeks with our 5th baby. I’ve had two 9 pounders myself! I have developed such anxiety at the thought of another natural labor. I have sworn off birth message boards and birth stories because it’s become such a source of panic for me. Honor’s birth story however has been a great source of encouragement to me. I think I’ve carried too much pride at my “ability” to have natural deliveries as if I am the source of my own strength. Well, I’ve definitely come back down to earth and realized how vulnerable I really am. A friend shared a prayer with me that has been really helpful and has done a lot to reduce my anxiety. I love how you said “Lord, this next one is yours. It’s not mine. I can’t do it. Only you can.” I will definitely be remembering and using that! I am starting to feel more encouraged that yes I CAN do this, because Christ and His mother will see me through it like He has every time before. I am not, and never will be, the source of my own strength. It all flows through Him. Thank you for helping to remind me of this! Congratulations on your sweet little guy! I love this Carolyn because I’m like that too. I try and stay away from birthing stories because it sends my anxiety thru the roof. Oh my! Beautiful but wow. So glad Honor is here. My longest labor was 3hr 50 min and my other two were 1 hr 40 and 1hr 30 and relatively pain free (all natural). You’re amazing. JUST wow and congratulations !